July 27, 2017 (LBO) – Sri Lanka’s Commercial Bank of Ceylon has introduced Mastercard debit cards with chip and PIN technology for the first time to the country. “These cards replace the existing Maestro debit cards with magnetic strips. The new Chip and PIN debit card will minimise the possibility of fraudulent transactions at Point-of-Sale (POS) due to the PIN requirement,” the Bank said issuing a statement. Cardholders will receive their Personal Identification Numbers (PIN) via SMS to registered mobile numbers when branches issue the card. The bank said cardholders are advised to change these PINs to PINs of their choice at a Commercial Bank ATM before they perform a point-of-sale transaction or an ATM transaction. Cardholders simply enter their PINs at POS machines to authorise transactions. “Commercial Bank always believes in introducing technology that matters to customers. In this day and age, security is a primary concern of customers and this new card will ensure more secure purchases not only locally, but also when they are overseas,” Hasrath Munasinghe, deputy general manager Marketing, Commercial Bank said. The card does not support contact less transactions and cannot be used at e-commerce sites which do not support 3D secure technology, or at POS terminals which do not support PIN, he added. 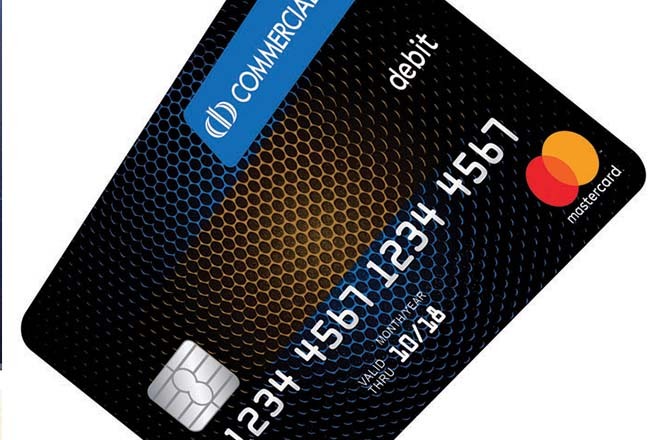 Commercial Bank said it will issue the new cards over the counter for cardholders who require an instant replacement.